The Afrikaans Crash Course runs from Mondays to Friday and is a full day course. This means that you must be available for the whole day to attend your course. Depending on your goal in the language, you may choose to do the course for however long you wish, but would need to book a minimum of 2 weeks. The Crash Course can be scheduled to start on any Monday in the year, so all you should do is book your course or get in touch so that we may arrange it for you. 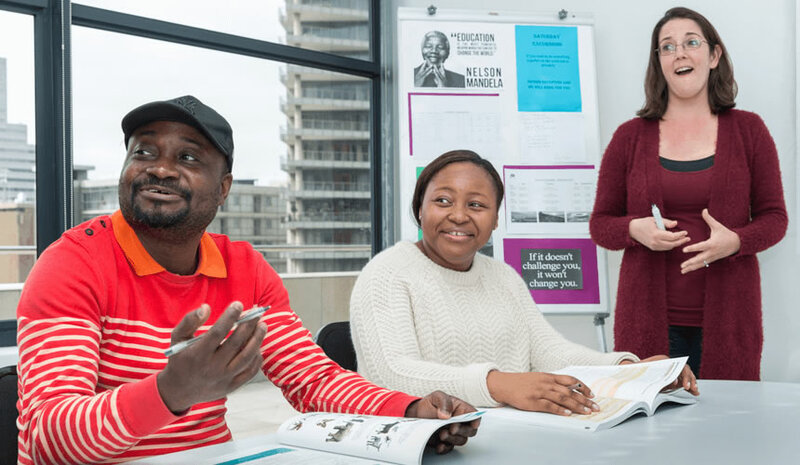 The lessons take place at our language school in Cape Town. Days and Months: recite, write, drill• The weather: What’s the weather like today? Classroom items: This/that, these/those – pen, pencil, table, chairs, whiteboard etc. Restaurant conversation: Food and Beverage vocabulary – “Can I have…?” Restaurant role play. Whichever course option works for you, we are here to help you reach your goal in the language. We will provide you the course material in the first lesson. This usually consists of a book and CD, and you will need to bring your own notebook and pens to class. We focus on developing all four language skills in the lessons; Speaking, Listening, Reading and Writing and strive to make our lessons interactive. At the end of your course, you will have to write an examination. Upon successful completion of the examination, you will be awarded a certificate. Our pass mark is set to 70%, so you must make sure that you study hard! Crash Courses are best suited to those who are serious about learning the language in a short time. You need to be free all day to attend the Crash Course.